Shakti’s national youth co-ordinator, Mengzhu Fu, said the youngest bride she had seen in New Zealand was 14. “It was not a registered marriage but it was a culturally conducted marriage,” Fu said. The architect of the member’s bill, which languished in the ballot for five years before being drawn last year, is Jackie Blue, the former National MP who is now the Human Rights Commission Equal Opportunities Commissioner. 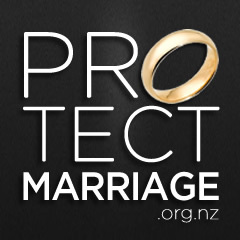 “You’ve really got to give credit to Shakti who really have raised the issue of forced and underage marriage in New Zealand right from the early 2000s. “I’m totally delighted, it’s a long time waiting. We know potentially there could be a lot of young girls … getting married against their will. Going against their family is very, very difficult. Hopefully going to the Family Court gives them the ability for someone to actually assess whether they are being coerced or not,” Blue said. But she said the problem was growing and the bill was about “nipping it in the bud”. “You’ve just got to look out into the streets of Auckland. It’s been happening for many, many years there and it’s starting to come through all the other areas as well. “Because we’ve shone a light on it, I’m hoping that from the bill it will actually start to reduce. “It’s a form of domestic violence rather than a cultural or a religious issue because no major religion endorses it. It’s not a cultural thing per se because violence manifests differently in different socio-economic circumstance,” Radhakrishnan said.